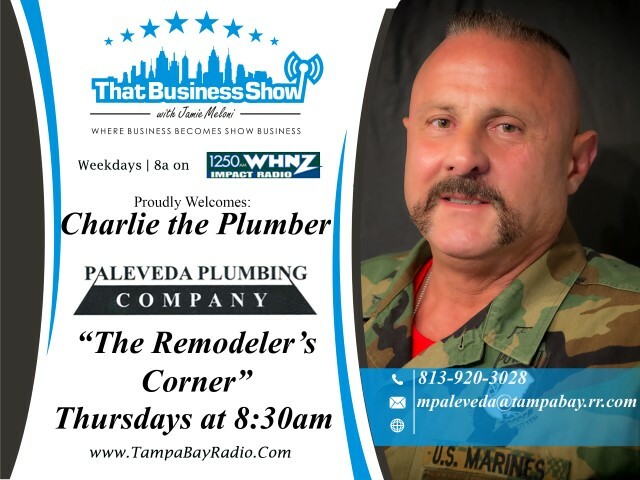 #ThatBusinessShow – weekdays at 8am on 1250WHNZ and please connect with me on all the different social networking sites including Twitter, Facebook, YouTube and SoundCloud. Podcasts of the show are available on iTunes as well and all shows are streamed live in studio. 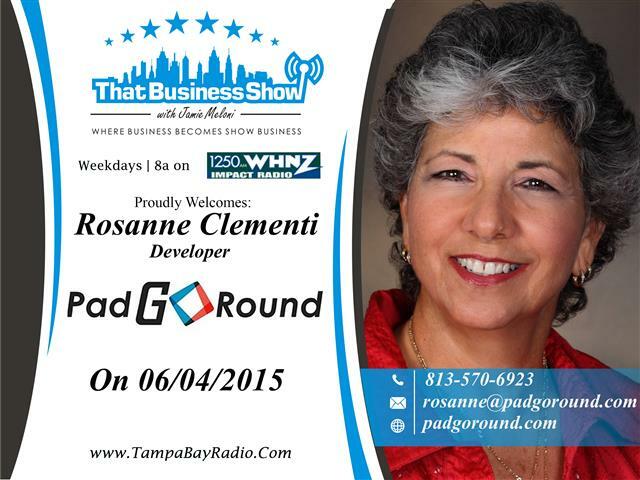 Opening up the show today was Rosanne Clementi, Inventor of the PadGoRound. This device assists tablet users with ease of use by giving tablets a handle and stand to aid in their handling. Originally designed to assist arthritic sufferers and people with small hands, the device is beneficial to all users and is adjustable to the different size tablets on the market. After 30 years as an environmental consultant, Rosanne launched Ruddy Turnstone Product Development to aid people with existing products whose access and ability have been limited. The PadGoRound is their latest invention and is currently in developmental phase. She has launched a KickStarter campaign and is looking to raise $23,000 to get the product to market. She is also open to investors who are looking to get on board to assist in product development and you can learn more at http://www.padgoround.com or contact Rosanne directly at 813-570-6923 or email at Rosanne@padgoround.com! My 2nd guest in studio today was Expert Contributor and Co-Founder of Access Reverse, Malcolm Tennant. Since its inception in 2005, Malcolm and his company have overseen the funding of over a thousand reverse mortgages. Malcolm talks on the first part of his segment about the benefits of these products and lays to rest many of the negative talking points that plague the reverse mortgage industry. Reverse mortgages are an excellent resource for seniors age 62 and older who have equity in their home to use as a tool to aid in their retirement and they can even be used to purchase a new home for the reverse mortgage for purchase program. Malcolm is putting on a seminar for the public at the Armed Forces Museum at 2050 34th Way N in Largo, FL on June 18th at noon for seniors to get more information on reverse mortgages as well. Malcolm is also very involved in the community and spoke of his commitment to ending Alzheimers Disease on the show and mentioned the Walk to End Alzheimers that is going on October 31st at the Amalie Arena in Tampa. He encourages people to contact Craig at 727-710-4976 to sponsor or donate or to be involved as a team leader in this event. 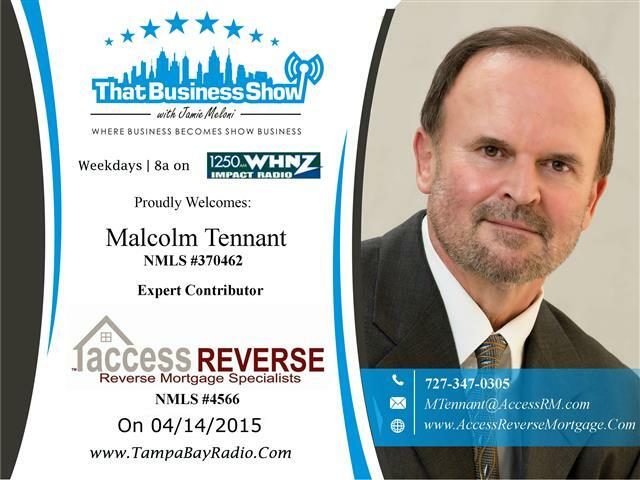 Learn more at http://www.accessreverse.com and reach out to Malcolm directly via email at mtennant@accessrm.com or call 727-347-0305 and visit http://www.accessreverse.com for a free e-book resource on reverse mortgages as well! On the last segment, #AmericanPlumber Charlie the Plumber checked in via phone. Charlie and I discussed the Realtor robberies in Pinellas County yesterday as a fake buyer setup two unsuspecting Realtors to show him a home and then robbed them at gunpoint. 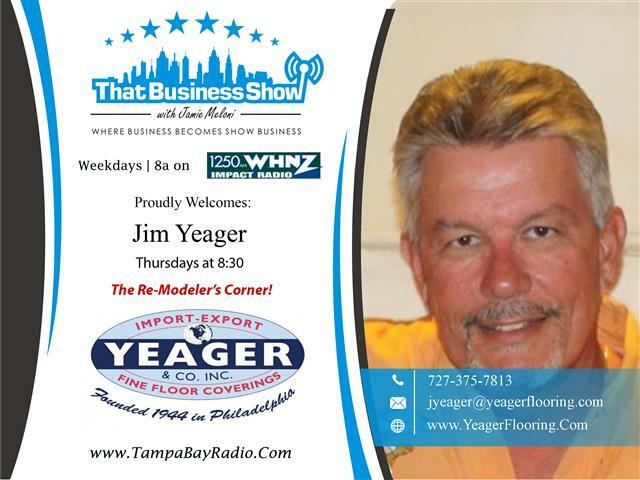 Charlie speaks of the importance of gun ownership and promises to be back in studio next Thursday as part of #TheRemodelersCorner brought to us by Jim Yeager of Yeager and Company, a 3rd generation flooring and remodeling business based in Odessa, Florida. Visit http://www.yeagerflooring.com for more information!